For developers sending email from their web and mobile applications, inbox placement is directly related to the quality of sending reputation. Curating your email lists on a regular basis is an essential key to maintaining a quality sender reputation. What happens if you neglect your subscriber and customer lists? Most importantly, lowered email inbox placement and sending impacts your reputation with SparkPost, ESPs, and your customers and subscribers. The SparkPost Suppression List service automatically prevents delivery of transmissions to members of your various recipient lists when they unsubscribe, hard bounce, or claim that an email you sent is SPAM. 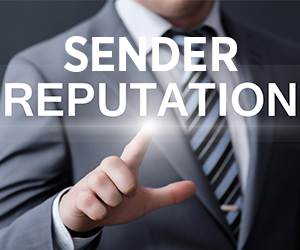 It provides a programmatic method of introspecting your recipient’s delivery permissions prior to attempting to deliver email to them. The rationale behind this service is to increase your email inbox placement percentages while also maximizing your customer’s engagement levels with your messaging. Suppression lists are able to be used as an invalidation tool while sending non-transactional messages. Why would a service such as the Suppression Lists be useful to organizations (ranging from small businesses to enterprise organizations)? Because you want to respect the permission customers give you for delivering bulk / marketing messaging, but they definitely want a receipt for their purchase or a password reset and other transactional messages they have initiated in your systems. This example highlights the value of SparkPost’s Suppression Lists to organizations of all sizes; it’s a simple interface to differentiate between email that “should” be sent (marketing, newsletters and one-to-many messages) compared to email that “is expected” to be sent (transactional email). Now that we’ve identified how tightly bound the relationship of your sending domain’s delivery reputation is to your SparkPost Suppression Lists, you may be wondering how you can leverage the data-driven power of SparkPost to increase your transmission’s email inbox placement. SparkPost strengthens your distribution lists by automatically adding recipients to your Suppression List who have flagged your transmissions as SPAM or unsubscribed (using either the unsubscribe link or list-unsubscribe features). This automated management will improve your inbox placements since you will not be attempting to transmit email to recipients who have explicitly revoked your sending permission…but what are some other ways to leverage your Suppression Lists that can prove beneficial to your organization’s email engagement? Implementing in-app (web/mobile) re-engagement or evaluation user experiences focused on driving heightened engagement volumes for your transmissions with SparkPost. SparkPost is here to help, but your subscription and non-transactional list management curation are critical in establishing and maintaining your delivery reputation and inbox placements. The better your lists are pruned, honed, and focused on engagement, the better your reputation for all of your email and transmission deliveries (both transactional and non-transactional).